Almost two decades later, having completely changed the face of Online Exams across diverse sectors like Insurance, Education, Banking and Capital Markets, as well as for many Professional and Regulatory Bodies across India, NSEIT has firmly established itself as one of the leading service providers of end-to-end Online Examination Services in India. With the Online Examinations industry booming on account of Govt. 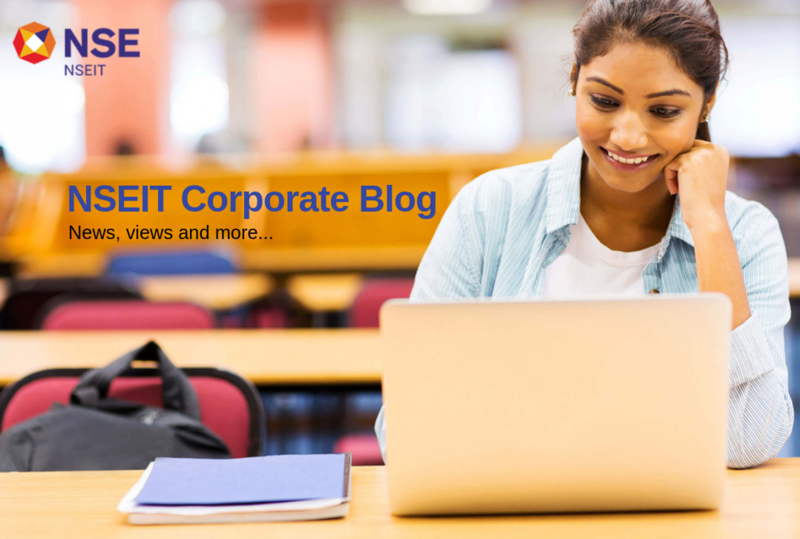 entities and Institutes vying to take the online route for conducting their exams, NSEIT has become a trusted name in the Indian Online Examinations space and has gone from strength to strength with every passing year. To safeguard organisations from market failure scenarios and reduce their overall risk, NSEIT developed its own proprietary Online Examination Software in-house and pioneered a facility for Online Testing and Certification known as NSE’s Certification in Financial Markets (NCFM) in 1999. Today, NCFM Certifications are widely trusted by one and all in India’s Financial Markets ecosystem. Noticing the efficacy in which NSEIT successfully rolled out and managed the NCFM exams, the Insurance Regulatory and Development Authority of India (IRDAI) decided to use NSEIT’s expertise to build their network of qualified Insurance Agents across the country (including Tier 2 and Tier 3 cities). With NSEIT’s help, IRDAI was not only able to seamlessly organise Online Exams across multiple cities in India, but also succeeded in significantly improving the quality in which their exams were conducted across the country. Today, NSEIT owns and runs India’s largest network of state-of-the-art Test Centres. With 229 Test Centres spread across 228 cities in India and a robust partner network with seat capacity of over 5.6 lakhs, NSEIT is equipped to handle more than 5 lakh candidates in a single exam session! With various certifications like CMMI Level 5, ISO 27001, ISO 20000 and ISO 9001, NSEIT has set industry benchmarks for flawless delivery and sound processes that has ensured the trust of large Govt. entities, Educational Institutions and Corporates to partner with it for conducting their high-stake exams. Apart from its subject matter expertise in content management and technical prowess in seamlessly conducting Online Exams, what sets NSEIT apart is the cohesive tech support it receives from its various business units like the Software Application unit, Infrastructure Management unit, Analytics unit, Cyber Security unit, Testing unit, etc. Armed with superior technology, a professional on-ground team, innovative exam solutions like ‘Test In The Box (TBX)’ and close to two decades of experience in conducting Online Exams, NSEIT is widely considered as the undisputed industry expert to help organisations seamlessly transition their conventional pen-and-paper exams to highly secure, transparent and cost-effective Online Exams.